2018 Scholarship Application now available!! The Dinwiddie County Chamber of Commerce is excited to announce that two (2) $1,000.00 scholarships will be awarded to Dinwiddie County Residents who are scheduled to graduate in 2018. 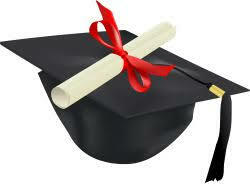 One scholarship is reserved for a graduate who will attend a vocational school. Applications must be complete and postmarked no later than May 4, 2018. Late and incomplete applications will not be considered. We reserve the right to not award a scholarship(s). Applications may be downloaded HERE. Or you may obtain a copy from your guidance counselor or pick-up at Eastside Enhancement Center. ← Congratulations October 2017 Business of the Month….